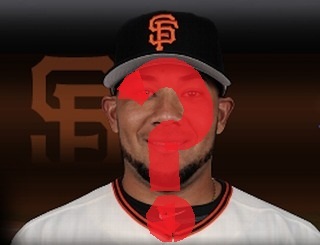 Who is “Melky Cabrera” really? Melky Cabrera shocked Major League Baseball by getting caught mid-season using banned metabolic steroids, it’s true. It is also true that this marks him for all time as a cheater, and something of an idiot, since the penalties for PED (performance enhancing drug) use are devastating to a baseball player’s reputation and wallet, and because, unlike when Barry Bonds was breaking records and racking up MVP trophies while being juiced, the game has belatedly decided that it isn’t going to let games, championships and records be distorted by chemical means. Melky, however, is special among baseball’s cheaters. Only he, as far as we know, decided to attempt an elaborate internet deception to try to duck responsibility after he had been caught. In a bizarre attempt to avoid a 50-game drug suspension, San Francisco Giants star Melky Cabrera created a fictitious website and a nonexistent product designed to prove he inadvertently took the banned substance that caused a positive test under Major League Baseball’s drug program. But instead of exonerating Cabrera of steroid use, the Internet stunt trapped him in a web of lies. Amid the information-gathering phase of his doping case last month, his cover story unraveled quickly, and what might have been a simple suspension has attracted further attention from federal investigators and MLB…The scheme began unfolding in July as Cabrera and his representatives scrambled to explain a spike in the former Yankee’s testosterone levels. Cabrera associate Juan Nunez, described by the player’s agents, Seth and Sam Levinson, as a “paid consultant” of their firm but not an “employee,” is alleged to have paid $10,000 to acquire the phony website. The idea, apparently, was to lay a trail of digital breadcrumbs suggesting Cabrera had ordered a supplement that ended up causing the positive test, and to rely on a clause in the collectively bargained drug program that allows a player who has tested positive to attempt to prove he ingested a banned substance through no fault of his own. This, of course, is not going to do Cabrera’s career any good at all. Team’s have been reluctant to sign proven (or assumed) steroid cheats (though not reluctant enough), but many, especially those who are young and properly contrite, have managed to find teams and to prosper. After this cover-up, attempt, however, it is hard to imagine any baseball team’s management with all of its neurons firing trusting Cabrera. He has served notice that he is a liar as well as a cheat, and such people shouldn’t be trusted to mail the water bill, much less given millions of dollars to represent your team, sport and city on the field. Such deep dishonesty compels the thought, “What else has he lied about?” During the off-season, the Cleveland Indians discovered that one of their star pitchers, Fausto Carmona, had stolen that identity and was really an older pitcher named Roberto Hernandez. Given the Giant outfielder’s propensity to attempt major deceptions, I wonder if he’s really Melky Cabrera at all. Cabrera was about a career .260 hitter until last year, when he went up to about .300, then his performance this year. I know what conclusions I draw from those numbers, knowing what I do now. He would’ve been a free agent after this year, and was being talked about as likely getting a long term contract worth many tens of millions, with a bunch guaranteed. I expect he will still find work in the seven figure range (I believe he was making about $6 million this year). He is still a legitimate major league hitter (a club of perhaps 400-600 men in the U.S), just not the second coming of Ted Williams. Someone will sign him — and I’d bet that contract will have some interesting clauses. Here is the other thing that makes baseball fans sick. Unlike some other stars who received similar suspensions, Cabrera stepped up and took responsibility for his actions, and apologized. Now we know the rest of the story, or at least more of it. The player’s union, which had filed an appeal, has decided they don’t really want to be involved after all and dropped the appeal. If nothing else, this is at least a mark in favor of the random drug testing program that was negotiated between baseball and the player’s union (anything like that has to be incorporated into the collective bargaining agreement). It is a step to the good, at least. With the huge amounts of money that the top stars make, there is always going to be this temptation. Hopefully, this case will serve as a deterrent to at least some degree.